A conventional CENTAUR mesh can be converted to polyhedral. Directional polyhedra are employed for the boundary layer regions. 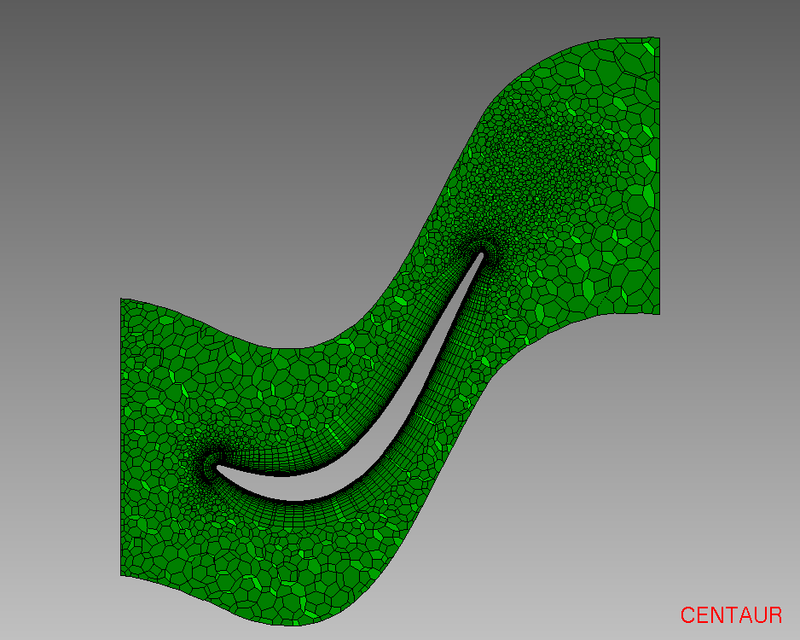 Polyhedral Mesh Cut at the Midspan of a Blade Passage Configuration.